We handle the marketing, so you can focus on your new customers. You have a small business. Your brick and mortar location does well but your business is not growing as fast as you would like. You have considered building a website, but it seems to technical or expensive to accomplish. The first step is to choose a hosting company. 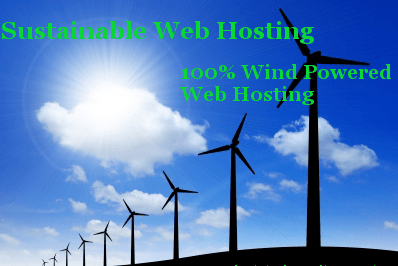 Homestead Digital Media Services offers sustainable web hosting. Published by Jeremy Cook, in Free Website Builders, Small Business Solutions, Web Hosting. These days it’s hard to grow your business without a website. Most consumers now shop online or search for local businesses before doing their shopping. A website can help you drive customers to your brick and mortar, or allow you to capture sales you might not otherwise get. Having a website allows you to highlight your business and your products or services. An online presence helps you keep current customers coming back, and brings new customers to your business. It’s about having the right solutions to grow your business. Published by Jeremy Cook, in Free Website Builders, Grow Your Business, Marketing, Small Business Solutions, Web Hosting, Website Design. Homestead Digital Media Services will not sell or rent your information. You can unsubscribe at any time. Homestead Digital Media Services sometimes uses affiliate links and ads on this site, and may receive payment if you click or make a purchase. We link to products or services that we use and know to be of good quality. Proudly Powered by Renewable Wind Energy | Theme Homestead Digital | © 2019 Homestead Digital Media Services.